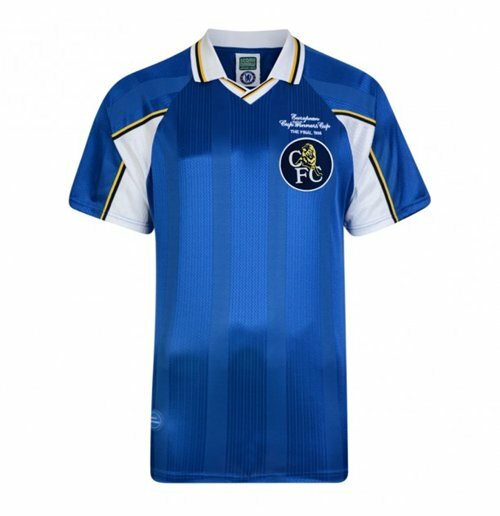 Score Draw Chelsea 1998 Home Shirt. Gianfranco Zola played 312 games for Chelsea, scoring 80 goals, arguably none more memorable than the only goal of the 1998 European Cup Winners Cup Final in a 1-0 victory against Stuttgart. Injury denied Zola a place in the starting line-up at the Rsunda Stadium in Stockholm but, as a second-half substitute he scored the winning goal after barely 30 seconds on the pitch with only his second touch of the game, from a through ball from Dennis Wise. In early 2003, Zola was voted as the best ever Chelsea player by Chelsea's fans.